While the calendar tells us tomorrow is the official start of spring, unfortunately for some the weather reports are telling a different story. The stores are all starting to stock lovely spring wears, but what's a girl to do when the temperature is not quite cooperating? Don't deprive yourself of the newest trends, just buy pieces that you can wear in the frosty weather and later on when the 70 degree temps approach. The fashion trends are all saying that dots are in the season, but if you ask me they never go out of style. That is precisely why this romantic update on the classic will last you for many seasons to come. Pair this beautiful Daniel Rainn Dot Print Blouse, available for $68 at Nordstrom, with a light jacket now and then a pencil skirt from spring. The Calvin Klein Jeans Belted Safari Jacket, $89.50 also at Nordstrom, is perfect to wear over long sleeves now. It will be just as perfect thrown over a summer dress in a few months when the night air is still chilly. 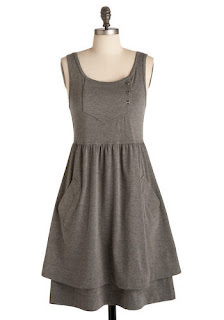 The Jersey for Sure Dress, $54.99 from Mod Cloth, is not only made from comfy jersey, it is also made to wear year round. Worn with a cardigan now and cute espadrilles later, this is certainly a piece you will get your money out of. Your price per year would be mere cents! It is no secret that I LOVE Anthropologie. I love that anything you try on at their stores will leave you feeling perfectly girlie and this dress is no exception. The All Seasons Shirtdress, $98.00, would look just as great with a chunky sweater and tights as it would with strappy sandals and a scarf in your hair. I want nothing more than pretty spring dresses like that anthroplologie one. I'm ready for spring, temperature be damned. Also, I agree that polka dots never go out of style. 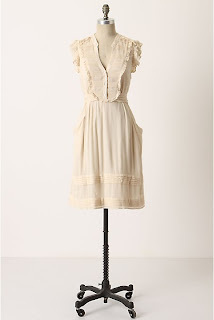 I love Anthropologie although I could never ever ever afford it. holly e-The trick is to wait for sales! You would be amazed. I have gotten $300 dresses for $40 from them before. You have to stalk them! LOL!